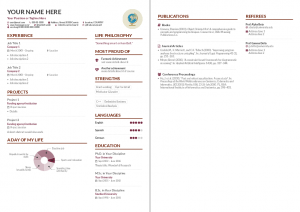 @overleaf guys watch this amazing CV template https://t.co/BInxwtuECT some ideas to make into Latex? Leonardo was talking about a résumé of Marissa Mayer that Business Insider put together using enhancv.com. I knew I had to do something about it. And so AltaCV was born. 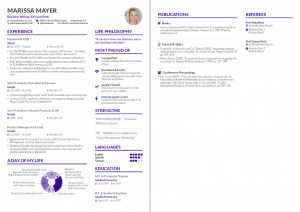 You can create your own CV using AltaCV online with Overleaf (use the links above); or you can download a zip from here, or git-clone it from Github. AltaCV uses fontawesome and academicons; they’re included in both TeX Live 2016 and MikTeX 2.9. The samples here use the Lato font. LuaLaTeX compilation is strongly recommended. If you want to use XeLaTeX instead, that’s fine, but you may need to make sure academicons.ttf is installed on your operating system, not just available in your TEXMF tree with the academicons LaTeX package. This entry was posted in cv, latex, templates. Bookmark the permalink.